Enjoy years of basketball in your driveway. This Atlas Portable lifetime goal is great from the 5 year old using a junior sized ball to your teenager practicing on the high school team. The extra large base provides portability as well as stability. 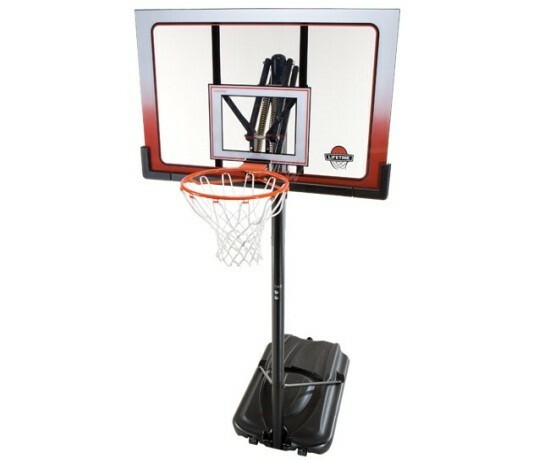 The larger-than-normal backboard of 52” ensures you can make wide bank shots. 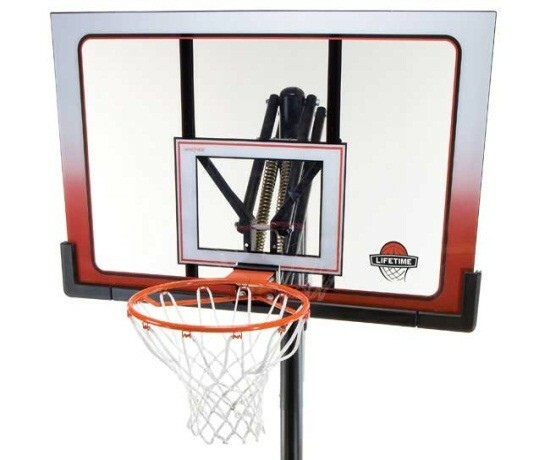 Backboard dimensions: 52 inches W x 33 inches H.
Polycarbonate is about 30 times stronger than acrylic with similar dimensions. Backboard Frame: 1” thick steel frame around perimeter and behind center. 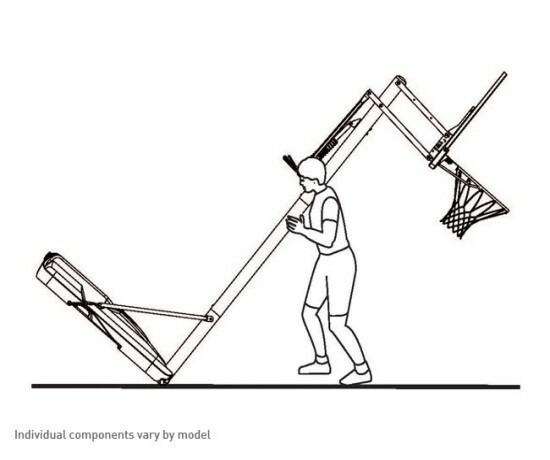 Hardware Configuration: Dual Compression Springs for competitive dunking. 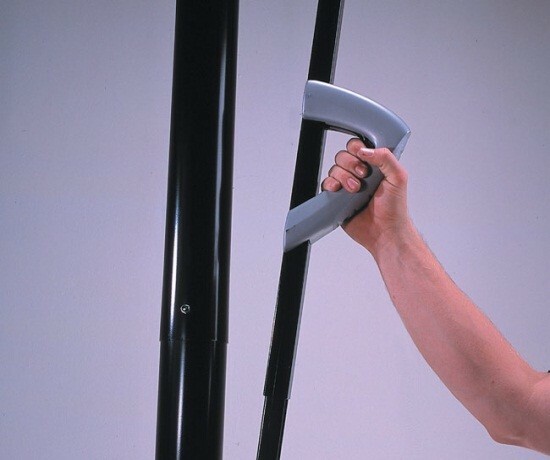 Height adjustment name: Action Grip. Gray handle with a trigger. Trigger squeeze releases mechanism to slide up and down on track channel located on back of pole. Releasing trigger locks hoop into place. 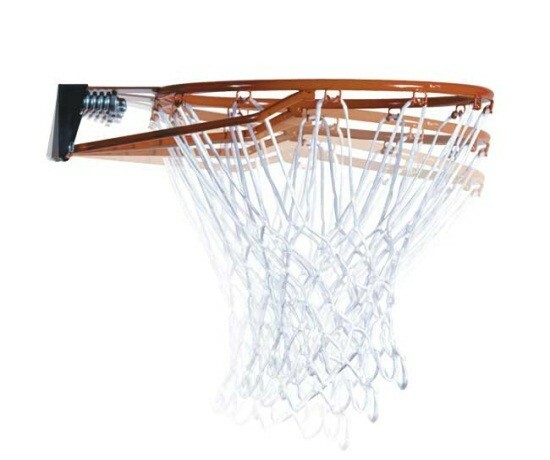 Action Grip uses included counter-balance spring technology to raise and lower the backboard. Fill Material: 35 gallons of water or sand. Fill plug on top and drain plug on side for portability. About 50% of water must be drained to easily move around. Replacement caps available. Warranty: 5-years manufacturer’s warranty. Copy of receipt required. Rims and backboards damaged from falling over are not covered. Please ensure you follow the owner’s manual instructions to prevent the Atlas 1558 from falling over. Footprint dimensions: 49 inches L x 32.5 inches W.
Shipping weight: about 105 lbs. Shipped dimensions: 52.5 inches L x34 inches W x 10.375 inches H.
View Atlas 1558 Portable on Competitive Edge Products, Inc for a low price guarantee option. View our directory of installers for help installing your Lifetime 1558. 1558 Assembly Instructions for download. Assembly on this model takes about 2 hours with 2 people. What's the difference between the 1558 and the 90176? There is no difference between the Lifetime model 1558 and Lifetime model 90176 besides the colors of the backboards. That's right. They have the same size board, same rim, same pole, same base, and the same adjustment mechanism? Which do most people choose? The answer is the model 1558. However, many or most of the customers probably don't know about the 80176 model and the differences - at least until now. So, it boils down to the price and the graphics. The graphics on the 90176 are definitely more conservative and professional. This is a sweet System!